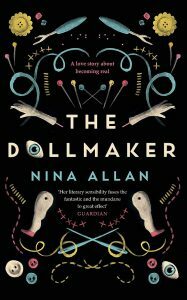 A modern gothic inspired by, amongst other things, a poem, ‘The Dwarf’, written by Matthaus von Collin and set to music by Schubert in Vienna in the early 1800s, the main character of The Dollmaker, Andrew is of short stature and his love of dolls not only provides him with a career but puts him in the way of another doll collector, Bramber, who is particularly interested in the dolls made by Ewa Chaplin, a woman who also wrote short stories that explore an uncanny fascination with dolls and dwarfs. His correspondence with Bramber, begun through a collector’s magazine, develops and Andrew falls in love with her and decides to travel across England to meet her. On the way, alongside Andrew, we read their letters and the eerie tales of Ewa Chaplin that twist their way into a narrative already rife with myth and alternative reality. Andrew has not told Bramber he is a dwarf and Bramber hasn’t fully explained why she is living in what seems to be a mental institution. The clever way in which fairytale interweaves with the mundane, using the romanticism of poetry and myth (I couldn’t help but be reminded of Tristan and Isolde when reading ‘The Dwarf’) brings a heightened sense of melodrama and chivalry with uncanny notes of the surreal – what is more uncanny than a doll made in the likeness of a real human being? – to a homely coach and train journey across England in which Andrew mainly stays in bed and breakfasts. As the novel progresses the surreal aspects of the story increase but the ending remains grounded in the real, taking a turn both unsuspected and empowering without fitting into any of the tropes a reader might have expected. This is very pleasing. So too is the novel’s ability to translate into the unconscious imaginings of the reader. 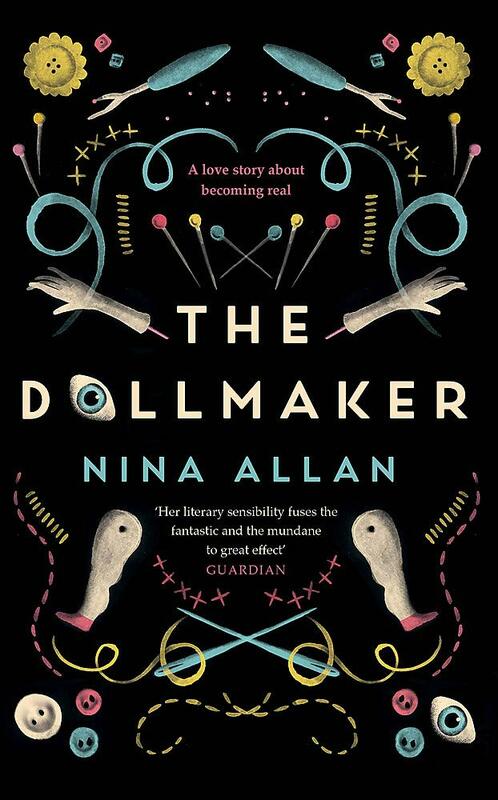 If you’re aiming for uncanny, you want to unsettle the reader enough to get ripples of suggestion working through their dreams and Nina Allan does just this with The Dollmaker. It’s an odd, quixotic tale; a modern playful gothic whose images linger in the mind. Out in April of this year, it’s for anyone who likes to have their dreams invaded. Next week I’m reading The Gallows Pole by Benjamin Myers.